Is your office in need of a clearout? Or perhaps your company are moving premises? 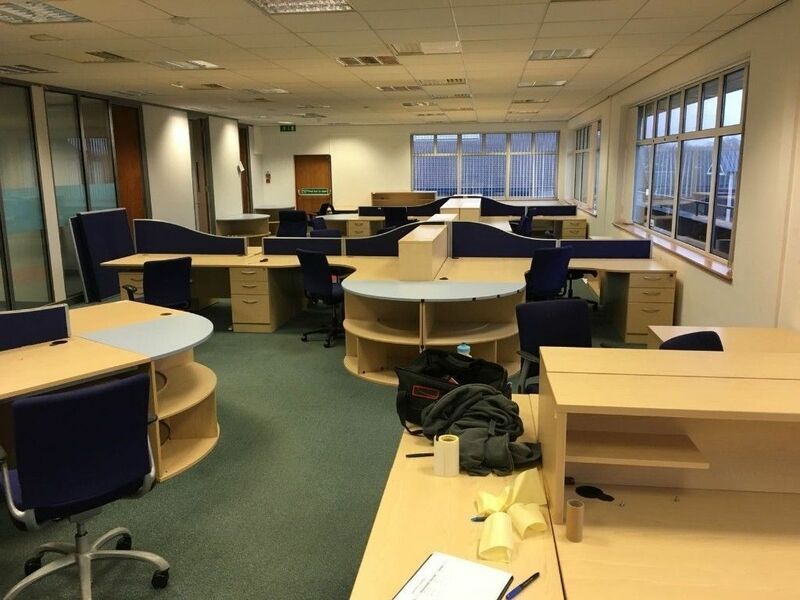 Get It Tidy provide a reliable hassle free office clearance service in Birmingham, no job is too large or small from single item collections to part and full office clearances, our expert team is on hand to cater for all your needs. With over 10 years of experience in the rubbish removals and clearance industry, we’ve carried out a lot of office clearances working alongside many landlords and business owners. Where possible we recycle as much office furniture as we can and over the years we’ve donated a huge amount of unwanted office equipment to various charities, which means we can keep our prices as low as possible. Our office clearance services are environmentally friendly, fully insured and licensed, when choosing Get It Tidy you can be assured to get a professional clearance service at a competitive price which will be cheaper than hiring skips. Get It Tidy is Birmingham’s No 1 choice when it comes to rubbish removals and clearances. Why choose our office clearance service? We can provide an office clearance service that your requirements. Whether you have a small office or a large multi purpose office complex, we get the job done in time! We make clearing your office space totally hassle free! If you’d like to discuss your requirements please get in touch with us today. 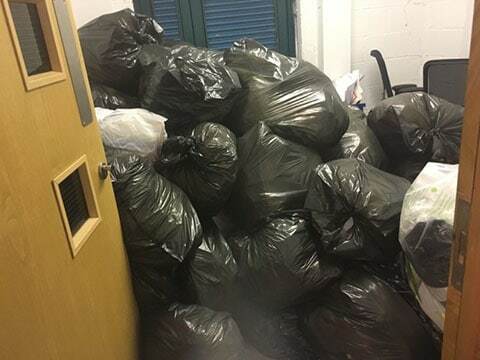 With over 10 years experience we have carried out office clearances for all types of clients including large high street chains, multinational car dealerships, electrical wholesalers, accountants, and solicitors to name a few and, as fully licensed waste carriers, you can rest assured that all of your office clearance waste will be disposed of in the correct manner, reused or recycled. You can be safe from the fact that we carry a full public liability insurance certificate.